At about 4.30pm on the afternoon of 14 May 1752 three men on horseback and another on foot were making their way through the Wood of Lettermore on the south shore of Loch Linnhe just over a mile west of South Ballachulish. A shot rang out. One of the horsemen fell to the ground. As his companions tried to help the dying man, one of them saw a figure in a dark coat making his getaway on the hillside above. This was the Appin Murder: the assassination of Colin Campbell of Glenure, also known as the Red Fox. Campbell had been appointed the factor, or agent, managing estates confiscated by the government from Jacobite sympathisers following the 1745 uprising and the Battle of Culloden that concluded it. In the immediate aftermath of the uprising, the government's actions across the Highlands were barbaric, bordering on what today would be called genocide and ethnic cleansing. In contrast, Colin Campbell carried out his duties in a relatively humane manner, but he was still the representative of a deeply hated government, and one which now wanted to evict some of the remaining Jacobite sympathisers, largely Stewarts, from lands on which they had lived for generations. The Appin Murder remains one of the most controversial and intriguing events in Scottish history. In large part this was because of the grotesque miscarriage of justice that followed. 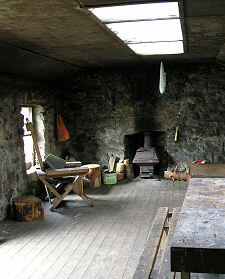 The leader of the opposition to the planned evictions was James Stewart of Acharn, half brother of the exiled Charles Stewart of Ardshiel, clan chief of the Appin Stewarts, whose estates had been confiscated and were now being managed by Colin Campbell. The day after the murder, James Stewart was arrested as an accomplice to murder, and a hunt was mounted for the prime suspect, Allan Breck Stewart, a professional soldier and a Jacobite who was known to have voiced threats against Colin Campbell. Allan Breck was never captured and is assumed to have fled to France. 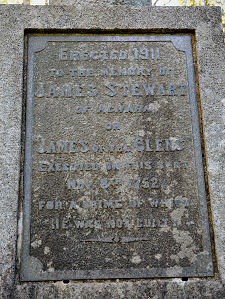 James Stewart was put on trial in Inveraray without the opportunity to mount a proper defence. His jury included 11 Campbells out of 15 members, some appointed on the recommendation of the victim's brother, the Duke of Argyll. 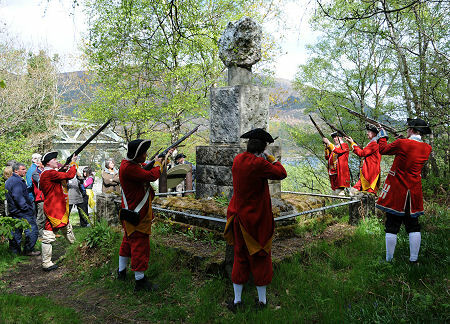 He was duly found guilty, despite the complete absence of evidence against him, and on 8 November 1752, James Stewart was hanged from a scaffold erected overlooking what is now the southern end of the Ballachulish Bridge. His body was left to hang for four years. His remains were eventually buried in secret near the chapel at Keil. Some of the key locations in the story of the Appin Murder have been linked together under the banner of the "Last Clansman Trail". 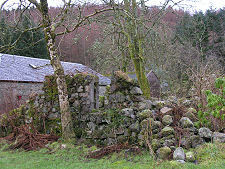 The most easily reached location is Cnap a' Chaolais, where James Stewart was executed. 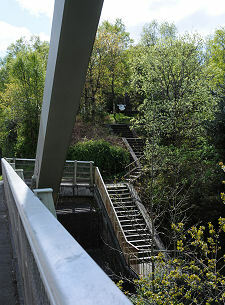 The memorial here is reached by steps from the road at the south end of the Ballachulish Bridge, or rather more steps from the lower road, the A828, which follows the shore of the loch at this point. A mile and a half to the west more signs lead you from the A828 to a forestry car park in the Wood of Lettermore. 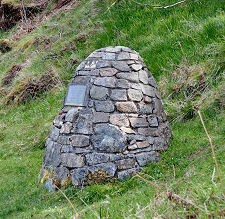 From here a path of about a quarter of a mile leads you to the cairn marking the spot where Colin Campbell was murdered. 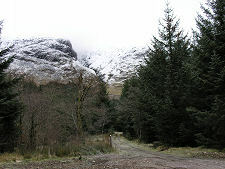 Five miles south west of the Ballachulish Bridge, more signs lead you to a parking area from which a forest track leads you to the birthplace of James Stewart. What the sign from the car park fails to mention is the distance you will have to walk to reach your destination. In practice, the walk to what is now a bothy is just over a mile and a half long, but not knowing the distance in advance can make it seem much further, especially on a day when you can see the snowline visibly descending the steep slopes of the surrounding mountains. The next point on the trail is the farm at Acharn. Here a parking spot is indicated a little short of the farm, but there is nothing to say which buildings stood here when this was James Stewart's home, and you rapidly get the uncomfortable sense you are wandering around someone's back yard. 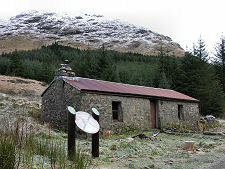 Also on the trail is the derelict chapel at Keil, a little further down the A828 towards Oban. The problem here is an absence of anywhere to park, either on the very busy main road or among the farm buildings that now stand near the chapel. 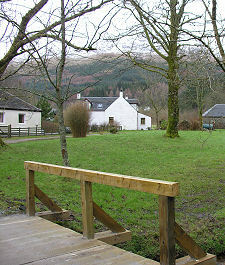 Parking is not an issue at Glenure House, Colin Campbell's birthplace in Glen Creran, which is also on the trail. 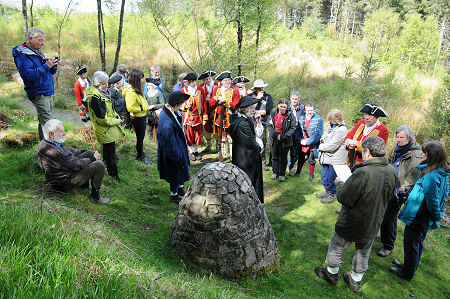 Some of the images on this page were taken on 5 May 2012, when the official launch of the Stevenson Way involved invited guests and re-enactors visiting the site of the Appin Murder itself and the site of the execution of James Stewart.